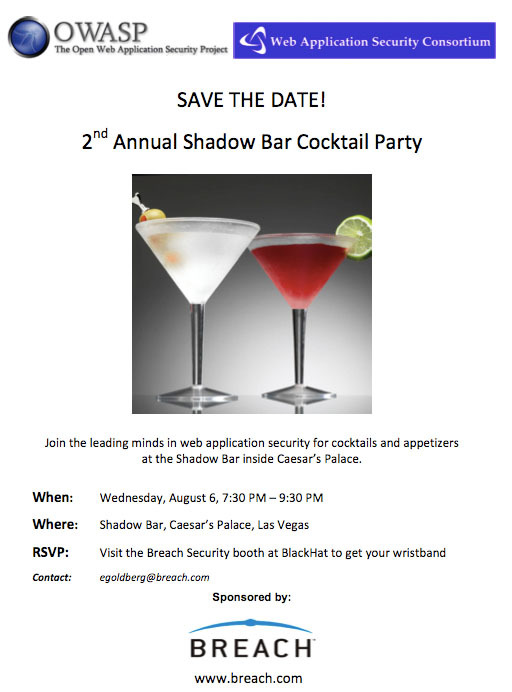 WASC and OWASP are throwing a party this year during blackhat at the shadow bar which is being sponsored by Breach. This will be the 3rd party at the shadow bar, and 2nd joint WASC/OWASP conference. If you want to chat appsec this is where everyone in appsec will be.